Indianapolis Women's March 2019 & PPINK Fundraiser this Saturday, January 19, 2019. We will be donating 19% of our in-store and online sales to PPINK! This Saturday marks the 3rd anniversary of the Women's March, this year's event is called the #WomensWave. This year we are partnering with Planned Parenthood of Indiana and Kentucky to serve as an official after party spot at our Mass Ave location, along with our good gal pals down the street at Mass Ave Pub! At Silver in the City, we will be donating 19% of our sales (in both stores and online) on the 19th to Planned Parenthood of Indiana and Kentucky. 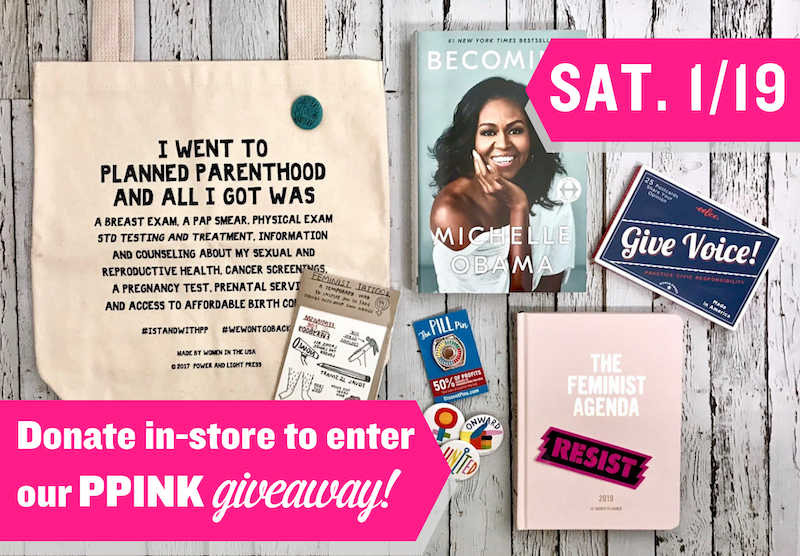 Additionally, on Mass Ave, we will be giving away this super awesome goody bag to a lucky lad or lady, every person who donates directly to the PPINK donation jar will receive an entry, and the winner will be contacted the following day! For all the details on the Indianapolis Women's March, click here! Want to find a Women's March in your neighborhood? Just click here! We wish you all a safe and peaceful yet powerful March!